Staggered fences in contrasting wood tones add a sense of quiet mystery while leading the eye around corners. A fence can be far from neighborly. After all, it is a barrier between house and street. 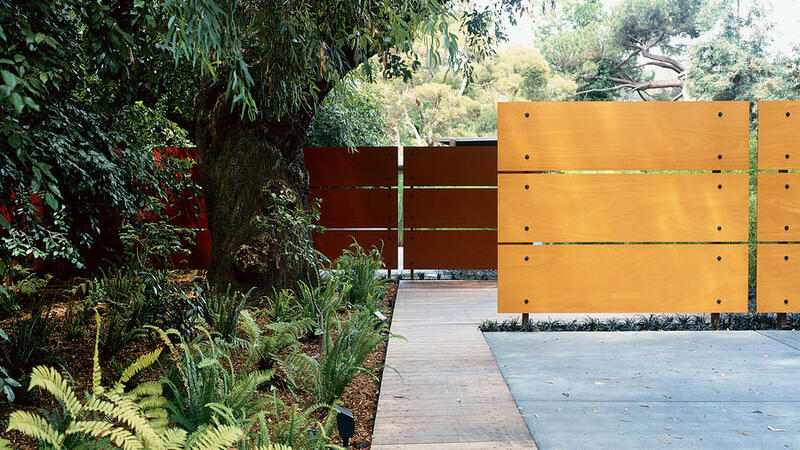 At this home in Southern California, a series of fences takes a different approach: it provides privacy while putting on a pretty face for neighbors and passersby. Architect Alejandro Ortiz used to have a front yard paved in asphalt. “It was good for parking the car and playing basketball, but that’s about it,” he says.